Serious Question: Whatever Happened to Roger From Sister, Sister? Zev Gutman: [waking up] Ruth? Ruth? Zev Gutman: [emerging from his room] Where's my wife? Paula: Mr. Guttman! You can't be sneaking up on me like that! Zev Gutman: Where is my wife? Where is Ruth? Paula: I'm sorry, Mr. Guttman, your wife passed away about a week ago. Zev Gutman: Oh. I'm sorry. Who are you? Paula: My name's Paula. I was Mrs. Guttman's nursing aide. Your family asked me to stay on for another week or two. Let's get some breakfast. You'll be feeling better after breakfast. 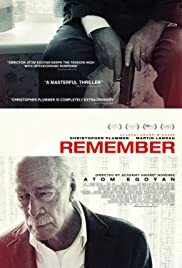 Atom Egoyan in fine form directing a fascinating story of revenge and identity loss. 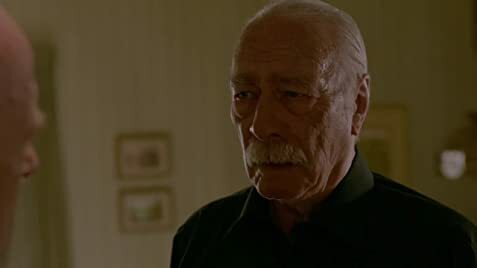 Christopher Plummer plays the main character with the sense of consistent and strong characterization that he has done so well for over forty years. This is definitely one of his more convincing roles, and since the focus is on his character the entire time, he truly had to carry this picture along. He does so with complete conviction and confidence. What makes the story so interesting and keeps it moving are the separate stops on the journey of the main character. In each place he visits there are additional members of the supporting cast introduced, each of whom add a uniqueness and individuality to the scenes that play out. Dean Norris certainly plays an intensely well suited and memorable role. Egoyan keeps up his trademark use of strange and unusual locations, and any fan of the director will not be disappointed. There is a great twist in this story, one of the better ones I've seen in a while. Some good advice would be to not read any of the spoilers, although the description of how the plot changes would take up several paragraphs. You're better off watching the movie and enjoying Mychael Danna's brilliant soundtrack as an added bonus.